For years on end, Alpine geography was neglected by researchers. Perhaps because maps could serve to advance the cause of peace in these regions virtually unexplored because they were of little military value. 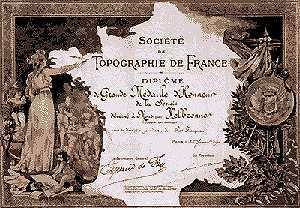 It was not until the arrival of researchers such as Élisée Reclus and Raoul Blanchard at the beginning of the modern period that mountains began to interest academia. Maps are not particularly expressive because they are simply a matrix of spatial, human or economic information of importance to users in the given field. Reports and descriptive texts have gone to great efforts to compensate this lacking since the 18th century. That is why it is often on the back side that one may find the information that brings a map to life. 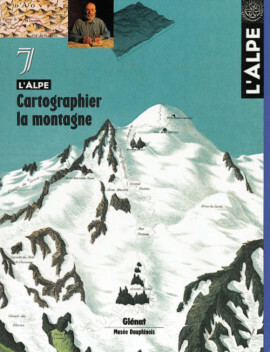 The desire to guide Alpine travellers with images, to « show the way », has over time generated an array of rePrésentation techniques, ranging from allegorical etchings to computerised guides. Efforts to reach the summits have produced the novel notion of proposing, off all blazed trails and paths, a purely virtual route. Portraying mountains, very mysterious and dangerous places, was for centuries a most difficult undertaking. From the stylised molehills of the Renaissance period published in atlases (called « theatres ») to the rigorous maps of the 19th century with their shadowed relief, the manner of portraying the Alps testifies to the changing perception of an eternal fascination. In the 18th century, military strategists scanned the Alpine « blue front line ». The natural fortification with very uncertain borders was finally mapped in a scientific manner, by Cassini and, above all, Bourcet. Knowledge of the Alps finally existed, but was classified « top secret ». Une étoile est née. A star is born. A British subject was the first to publish an accurate drawing and the name Mont Blanc on a map of… Switzerland ! Starting right from 1778, the high point of the Alps had problems with the concept of national borders. A panorama of map making, spanning five centuries, will be presented starting in June in a magnificent exhibition in Chamonix. Chips have replaced the burin of engravers. In a few short years, computers have revolutionised both maps and the work of map makers. But even more important, it is our perception of the world that can now roam to once unimaginable horizons. Will such flights of imagination also empower certain actors in the « new economy » ? It was on a Sunday, the 35th day in the month of Cerfeuille during a hike to the Barcasse peak, that the Tatou family discovered the remnants of Marcel Dupond’s ark. The weather was fine, the spring was heading straight into a hot and dry summer. A peak in the vicinity of Mont Blanc and large panoramic images of the range are in general all that the name Paul Helbronner evokes. His voluminous geodesic work on the French Alps has been all but forgotten, in spite of the obstinacy, almost the monomania, with which he devoted his life to the project. From behind the mountain of archives, a complex and controversial personality is finally emerging. Very inaccurate, the maps drafted by the engineers a century before were far from sufficient for the new demands of the 19th century. With mountains rapidly becoming fashionable, climbers needed maps drafted using scientific methods. They therefore assisted the military in precisely mapping the high Alpine regions. Map making had entered the modern era. « A map is both a portrait and a definition », wrote Franz Schrader who, at the turn of the last century, definitively brought the Pyrenees out of their uncertain standing and into focus. A painter and drawer, he was drawn to map making through art and via his surprising orograph. His maps and panoramas of the range constitute a complete work, a multi-facetted rePrésentation of the mountain landscape. Whether delighting in the fine grain of a spruce tree from which a violin will spring, with in mind the musician who will make the forests sing, or putting one’s best into managing a mountain hotel, digging up a high-altitude prehistoric site for over fifteen years, falling in love with old books and engravings or simply walking the trails in step with the sheep, there are many ways to come into contact with mountains, their traditions, cultures and daily life. Photographer GianLuca Boetti grew very attached to the faces of the men and women from up yonder. Portraits. An original form of traditional art decorates the fronts of bee hives in the High Carniole region. It is specific to this area in Slovenia where beekeeping underwent a unique form of development over time. Austria has forgotten. In February 2000, for the first time in the short history of the European Union, a political party on the extreme right entered into a government coalition. The result was nearly unanimous condemnation. Just one year earlier, the French newspaper Le Monde had published a long article on demagogic political movements in Alpine regions. A premonition ? The author presents his point of view here.